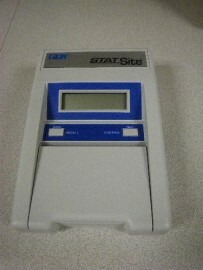 GDS Diagnostics Stat-Site Analyzer - LabTrader Inc. The GDS Stat-Site Analyzer is a precision reflectance photometer. It operates by illumination of a target or test area and measuring the amount of light that area reflects. This reading is based on the test area color and the wavelength of the illuminating light.